The following books are foundational to our understanding of coercive control in intimate partner relationships, as well as coercive control in other settings, abuse and the impacts of trauma. For anyone wanting to further educate themselves about these topics, we highly recommend checking out any of the books below. Judith Herman, M.D., is a psychiatrist, researcher, and writer whose work on the impact, treatment, and recovery of complex post traumatic stress disorder is recognized as one of the most important contributions to the field. Dr. Herman’s Trauma and Recovery serves as the go-to guide for understanding trauma survivors. In that work, Herman recognizes similarities in abuser tactics for establishing power and control within a variety of abusive relationships, including domestic violence cases You can read more about Dr. Herman's work here. Bruce Perry, M.D., Ph.D., is the Founder and Senior Fellow of The ChildTrauma Academy, a not-for-profit organization based in Houston, TX and adjunct Professor in the Department of Psychiatry and Behavioral Sciences at the Feinberg School of Medicine at Northwestern. Dr. Perry has over thirty years experience as an active teacher, clinician and researcher in children’s mental health and the neurosciences. The Boy Who Was Raised as a Dog is a powerful exploration of childhood trauma and its lasting impact, as well as how children heal. You can read more about Dr. Perry's important work here. Evan Stark, Ph.D., is an award-winning researcher and has served as an expert in over 100 cases involving battered women and their children. In 2007, he published Coercive Control: How Men Entrap Women in Personal Life, introducing the alternative framework of coercive control and tracking the implications of reframing domestic violence as a "liberty crime" that entirely entraps women, stripping them of their human rights. Stark’s coercive control work recognizes the similarities in experiences of survivors from a variety of abusive situations, including religious and political cults, domestic violence and human trafficking. You can read more about Dr. Stark here. the support and resources necessary to regain freedom and independence. You can also follow Dr. Fontes' blog at Psychology Today's website. Lundy Bancroft is a counselor who specializes in working with abusive men. This book is an excellent resource for helping women to recognize when they are being controlled or devalued in a relationship and how to break free from the abuse. Bancroft's website is also an excellent resource with lots of helpful information, including assessment tools for dangerousness, risk to children or positive change in men who abuse their partners. Michael P. Johnson, Ph.D., is Emeritus Professor of Sociology, Women’s Studies, and African and African American Studies at Penn State, where he taught sociology and women’s studies for over thirty years. A Typology of Domestic Violence: Intimate Terrorism, Violent Resistance, and Situational Couple Violence outlines three vastly different forms of intimate partner violence: intimate terrorism, violent resistance, and situational couple violence.We wrote about his work at our blog. Alexandra Stein, Ph.D., is a cult survivor and renowned expert on cults and totalitarianism. Terror, Love and Brainwashing draws on the author’s 25 years of study and research to explain how almost anyone, given the right set of circumstances, can be radically manipulated to engage in otherwise incomprehensible and often dangerous acts. This perspective is important for anyone interested in attachment in abusive relationships and for understanding how coercive control dynamics function within abusive groups. Janja Lalich, Ph.D., is an Associate Professor of Sociology at California State University, Chico. Bounded Choice explores the social psychology of influence and control and presents a new approach for understanding how charismatic cult leaders are able to dominate their devotees. Dr. Lalich shows how members are led into a state of "bounded choice," in which they make seemingly irrational decisions to those on the outside. For those interested in exploring coercive control beyond intimate partnerships (and related concepts), this is a helpful read. 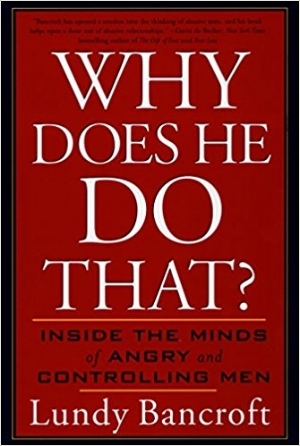 It also provides important insights into why people may remain in abusive relationships to their own detriment. 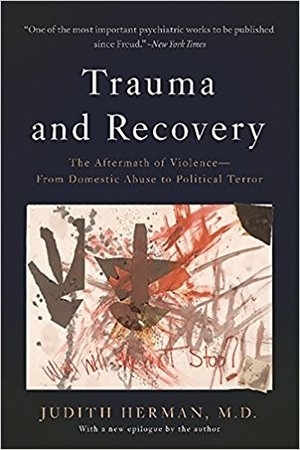 WRITTEN BY JANINA FISHER, PH.D.
Healing the Fragmented Selves of Trauma Survivors integrates a neurobiologically informed understanding of trauma, dissociation, and attachment with a practical approach to treatment, all communicated in straightforward language accessible to both client and therapist. Readers will come away with tools for helping clients or themselves create an internal sense of safety and compassionate connection to even their most dis-owned selves. Cult victims and those who have suffered abusive relationships often suffer from fear, confusion, low self-esteem, and post-traumatic stress. Take Back Your Life explains the seductive draw that leads people into such situations, provides guidelines for assessing what happened, and hands-on tools for getting back on track. Written for victims, their families, and professionals, this book leads readers through the healing process.